Our vision is to establish fair distribution of water rights among Upper Klamath stakeholders and the Klamath Tribes in order to sustain the region’s agriculture-based economy, foster understanding in our diverse communities, and preserve the rural character of Klamath County, Oregon. Allowing productive irrigated lands to dry up and rural communities to wither is not in anyone’s best interest. The life-giving waters of the Upper Basin are a fundamental resource that needs to be shared by all stakeholders. We want to find a fair and equitable way to distribute this water that will give all parties some of what they need, though no one will receive all of what they want. Ranchers need to continue to ranch, and in-stream flows for the Klamath Tribes need to be adequate for historic uses. Help us find a solution to this challenge by joining with us! 5. Total area Impact in dollars- $516,000,000.00. 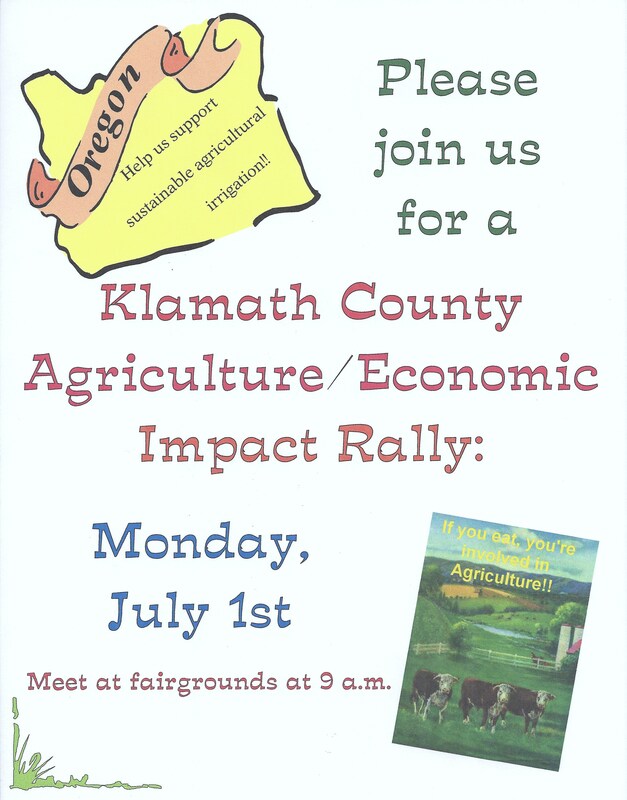 These economic losses would seriously affect Klamath County's ability to function in the future.